It’s always been just Kate and her mom—and her mother is dying. Her last wish? To move back to her childhood home. So Kate’s going to start at a new school with no friends, no other family and the fear that her mother won’t live past the fall. Kate is sure he’s crazy—until she sees him bring a girl back from the dead. Now saving her mother seems crazily possible. If she suceeds, she’ll become Henry’s future bride and a goddess. It took me a while to finish this book, as most of you know from my goodreads updates. I just wanted everyone to know that is not the book’s fault. Life has been insane lately, but now that I have a job in the best bookstore in the world (Strand books in NYC I have loved them for a really long time,) things are really looking up and now I can dedicate my time back to reading. This story was so original, I thought this was an excellent telling of the Hades and Persephone myth. I don’t want to give too much away, but the ending was a pleasant surprise! 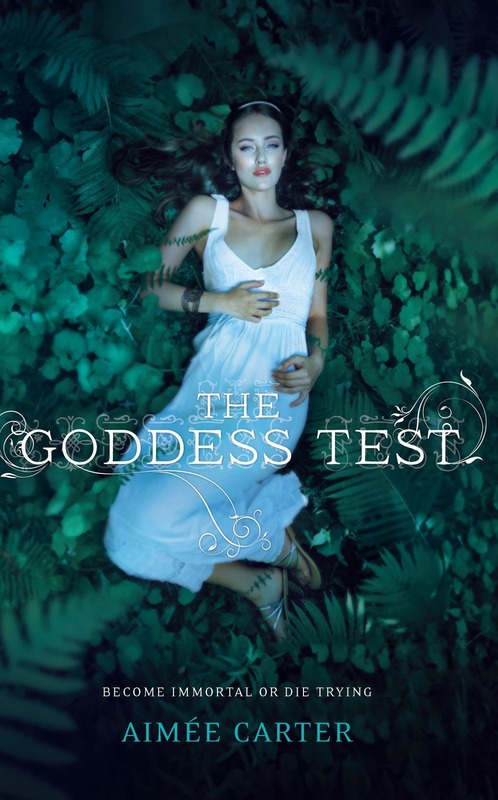 I thought it would end up being more like Solstice (which I loved,) but The Goddess Test had its own edge and the plot kept you guessing. Again I hate giving out spoilers but there was murder mystery subplot and that gave the story a lot of layers. The over all tempo seemed a little slow at times, but again I had my mind on other things so I’m hesitant to stick by that judgement. However, I will say this the romance that developed in the story felt NATURAL.There was no love at first sight, or going from hating to love in 4 seconds. Instead, the two main characters developed feelings for each other over months, not days. I love that! I can’t even begin to tell you how much I appreciated this. In YA especially love develops way too fast, and yeah I get it. Raging hormones and all, but Kate had a complicated life with difficult circumstances. High school romances wasn’t even a blip on her radar screen. Even with the guy she fell in love with (being vague because I don’t want to give away too much,) it took time and it was great to see her open up at her own pace. She had much more pressing concerns and I actually find her a positive literary female role model. Especially because she has to dole out punishment every now and again, and she’s always calm, level headed and fair. The ending was very touching. I’m serious. I got very choked up (even cried a little.) Overall I thought this was a really beautiful story and I highly recommend it to 16 year olds on up. 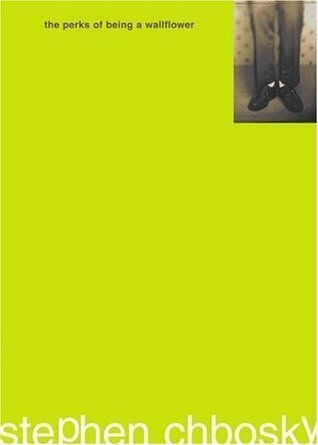 Overall: 6.5/7 not a 7 because I was distracted by other things but I really loved this novel. Celia and Marco were more interesting in the beginning, and I don’t know but their story slowed down a little too long so that when it picked up again… Don’t get me wrong I was still interested after all they are the MAIN characters. Although to be fair the Midnight Trio Poppet, Widge and Bailey are just too amazing they really stole the show. ^__^!! 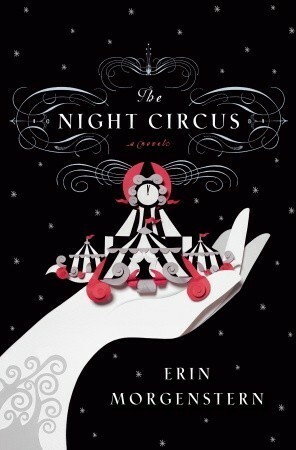 Except the Magic in the Night Circus is real. Loads of people were disappointed by how magic was used in this novel, but I thought it was used really well. I think this could bridge the gap from general fiction to fantasy fiction and it might give more general fiction readers into a glimpse of how amazing a full blown fantasy book can be if they open up their minds to infinite possibilities. The love story never felt like the main focus so the novel was plot driven I just wanted to add that because I know romances sometimes turn people off from a story. I wish the pacing was faster but other than that no real complaints. 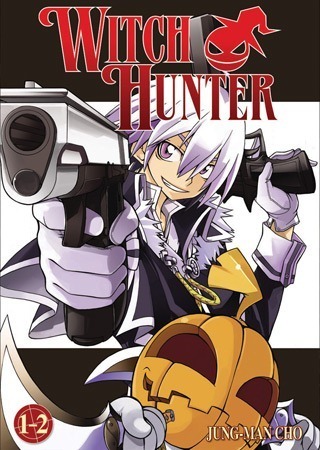 (by goodreads.com)Witch Hunter is an all new shonen fantasy manga series in the vein of Soul Eater and Full Metal Alchemist, presented in two-volumes-in-one omnibus format. Seven Seas will release the entire action-packed series across six low-priced omnibus editions. In a world where witches have declared war against humanity, the surviving human population has gathered specialists with the power to hunt and destroy witches. My Review: To be fair to the review, I see the similarity to Soul Eater (which is the most amaze-ball series ever) but to FMA? (Full Metal Alchemist which is also phenomenal) no way. I’m sorry I just don’t see the connection to FMA at all. I have to admit I thought this was the more boring version a soul eater until the second half of the omnibus so lol basically volume 2. I really like how not all witches are evil in this Manga or Manhwa. The characters are interesting and I did grow to like the story more and more I just wish it hadn’t tried so hard to be funny in the first volume because it didn’t need to. Once the story line got series (aka when Tasha and his sister reconnect) things get waaaaaay better. MOST UNDERRATED VAMPIRE SERIES VAMPIRE HIGH. The newer cover art is not much of an improvement. I know it’s hard because we all like nice editions of our books but please try and look past the cover art, I know it’s not the best but it’s a pretty entertaining story. Description: (by goodreads.com) In the satiric and funny sequel to the witty Vampire High, Cody’s hopes for a great sophomore year at Vlad Dracul are dashed when his train wreck of a cousin, Turk Stone, moves in and messes with his life. Turk’s a brilliant teen artist and goth with a sky-high ego . Her attitude infuriates the vampire (jenti) students, especially the dark, brooding Gregor. But something changes in Turk when she stumbles on the abandoned nineteenth-century mill in the forgotten district of Crossfield and immediately claims it as her new arts center project. Though Cody resents his cousin at first, he has his own reasons for helping make Turk’s dream come true. But Crossfield has many secrets, and a mysterious vampire army called the Mercians will do anything to make sure they stay hidden. And when he takes on the Mercians, everything Cody has learned about courage and determination his freshman year at Vampire High will be tested. So because I wrote so much before my usual review format I’ll try and keep this brief. This poor book, I had no idea they published a second one, none, I was fixing the Children’s Face out display where I work and that’s when I saw it. I completely fangirled out and bought it (after my shift of course.) I think I tore through it in two days. 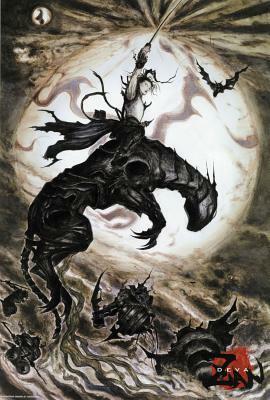 While, it didn’t have as much mythology as the first one did I still really liked it. As with the first in the series, it was funny but also serious when issues came up for the characters. I really love that about Douglas Rees, when he’s funny it can be almost cheesy (in a good way,) but when he goes into darker elements and believe me it does get dark, it’s believable and compelling. Only complaint the sometimes out dated dialogue, certain phrases seem like they were said in the 50s rather than in 2000s on up, and that cover art. Douglas man, you’re amazing get someone off Deviantart or another artist community to design you cool editions because these don’t do your work justice.